cabinetry for today’s dental office. as an extension of your delivery system. 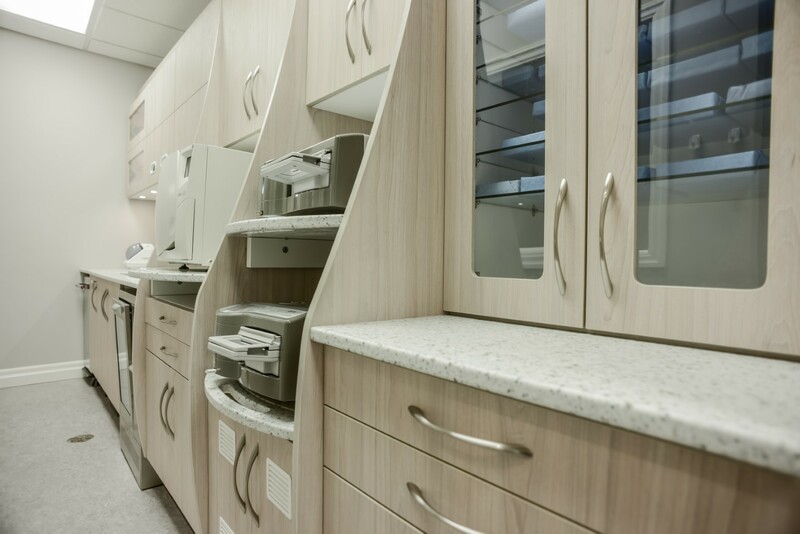 You want to have cabinetry designed for your dental practice that offers quality, infection prevention and control. all within your budget and timeline. MKR Dental Cabinets provides superior products in all aspects and at an affordable price point. We are constantly working to improve our products, keeping with the latest designs, materials and infection control standards. All MKR cabinets are manufactured with the highest quality material, setting the standard for durability and functionality. 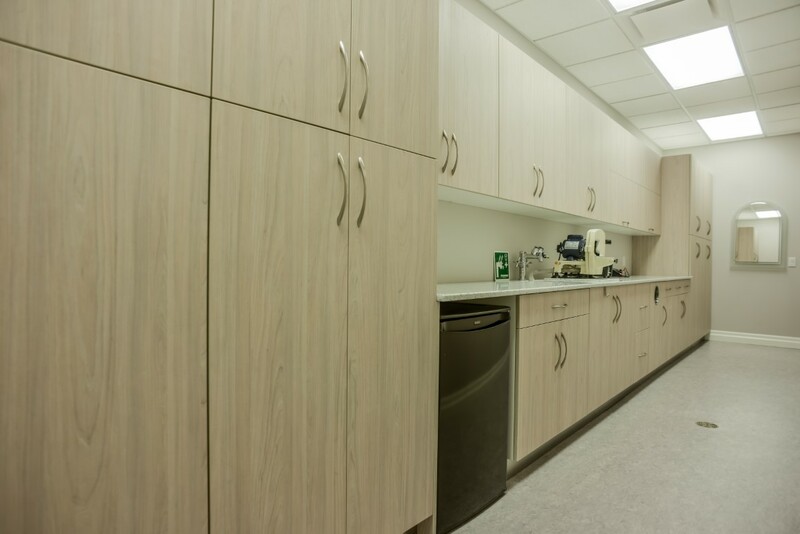 Our plywood/anti-bacterial laminate cabinets provide a longer lasting product that is resistant to the constant moisture found in dental offices. 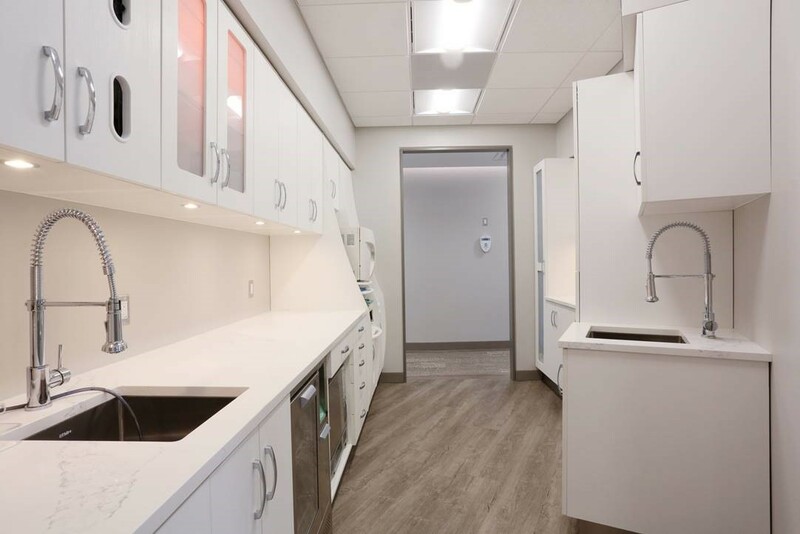 All our cabinetry for the sterilization centres and islands are made from Ultracore/antibacterial laminate, a moisture-resistant material with a higher tensile strength than traditional cabinet materials. Antibacterial laminates are used both on the exterior and interior of our cabinets which come at no extra cost to you. MKR cabinets are Canadian made and sold directly to you. By eliminating the middle man, you save. When you have your cabinetry built by MKR, you won’t have to worry about paying any exchange rate. The price you see is the price you pay. Designed to improve productivity and efficiency in all work areas of your office. Work surfaces are designed for convenient access to equipment and supplies. 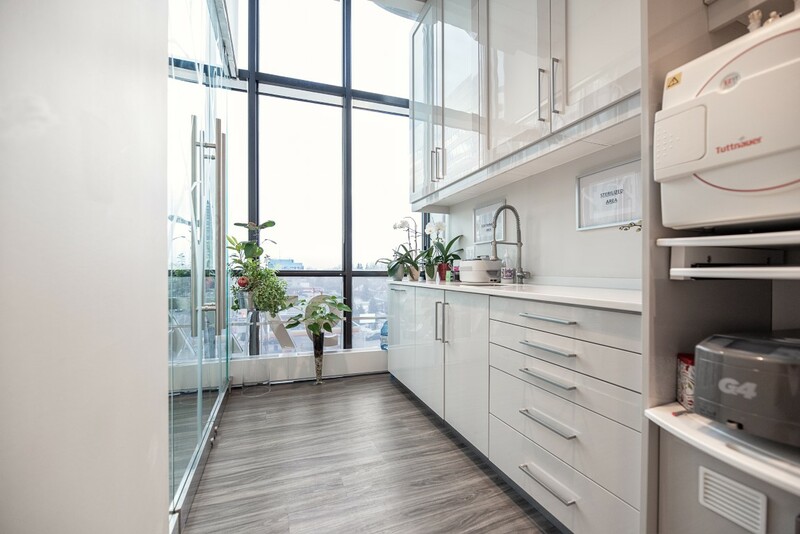 A large amount of storage space is provided in every cabinet. Swivels and pullouts are also available for increased ergonomics, allowing the dentist and assistant to remain in close proximity to the client. MKR can also provide custom design solutions to suit the needs of any dental office. MKR Dental Cabinets allow for the integration of every type or brand of dental equipment or technology. New and older equipment can be incorporated into any renovation. Specifications designed to work with all dental equipment’s and utilities. Pre-Installation site check performed, ensuring trouble free installation. We work directly with you and bill directly to your office. We offer a 10 year warranty for your cabinets, serviced by MKR. Would you like a free, no obligation consultation? Fill out the consultation form or give us a call, 1-800-757-1235.